This is Nyachou again, I am attending summer Comiket in Tokyo 2015 this time under my own circle name Clover Workshop. I will be appearing in the first day of the event, hall east and table number G12b. 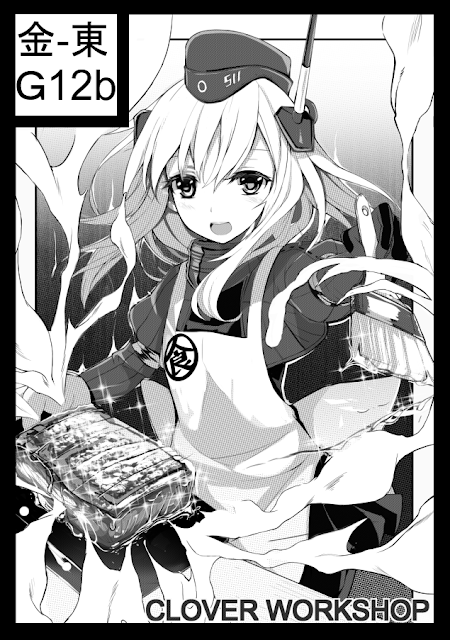 The book will be Kancolle related cooking Doujin manga with bit of service in it O w O.